The controversial request to rezone the former Zara’s building on Prytania Street back to the land-use category that would allow a grocery with alcohol sales will return to the New Orleans City Council this week, according to Thursday’s agenda. 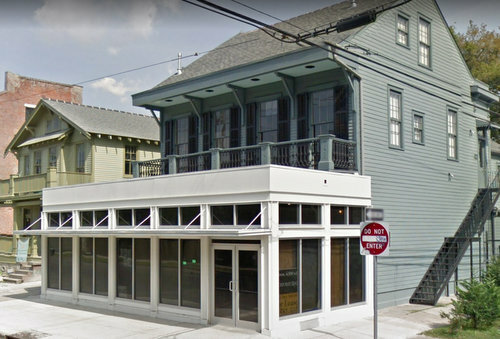 The request to rezone the property at 2042 Prytania Street to a mixed-use district now dates back nearly four years, after Liz and Robbie Blum bought the building in 2014. After 15 months of extensive renovations, the closed business lost its grandfathered permission to operate as a grocery on the residentially zoned property, so the Blums began the rezoning process in 2017. While the return of the grocery enjoyed wide support, the use of the upstairs apartments as AirBnB short-term rentals deeply divided nearby neighbors. Complicating the issue, the mixed-use zoning that allows the liquor sales — which the owners say is essential to making a grocery financially viable — would also have also made short-term rentals permanently available there. City Councilwoman LaToya Cantrell tried to untangle the problem last year by recommending a change to the zoning code to remove short-term rentals from that form of mixed-use zoning, but the City Planning Commission recommended against that change, saying it could have unintended consequences. Meanwhile, the owners of the property and nearby residents continued trying to negotiate a good-neighbor agreement, though that effort remains incomplete as of Monday night, said Ryan Kropog, president of the Coliseum Square Association. Kropog told the Coliseum Square Association at Monday’s meeting that he has yet another meeting scheduled with Cantrell’s office this week to try to broker a solution and “bridge the gap” with the building’s owners. The rezoning request — accompanied by a recommendation to deny from the City Planning Commission — is on the agenda for Thursday’s meeting of the City Council, with its deadline looming. The mere mention of the upcoming decision triggered strong feelings on both sides of the issue within the Coliseum Square Association. Karon Reese, a former association vice president who resigned over what she described as unfair treatment of the building’s owners, said the proposed good-neighbor agreement remains too restrictive on the grocery owners, limiting uses that other nearby property owners can enjoy. “This has been turned into a short-term rental issue when it is not a short-term rental issue,” Reese said. Julie Simpson, the immediate past president of the association, replied that the representatives of the Zara’s property have walked away from the negotiating process on multiple occasions. Kropog asked both sides to focus their energy on finding a solution prior to Thursday’s council meeting, rather than debating what has already transpired.